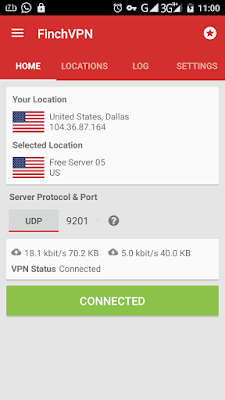 I thought we Nigerians were the only ones busy searching for free browsing nt until i came across this mtn south Africa free browsing cheat that i realized we weren’t alone in the struggle, all credit to Pappie Hex for this cheat, i sincerely don’t know how that guy is able to post cheats cutting across some countries in the world. 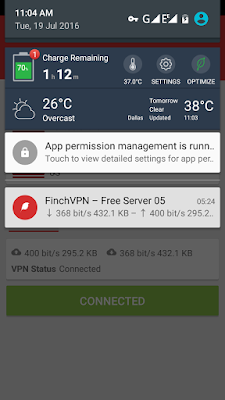 The mtn south Africa browsing cheat is however limited to 100mb of daily free browsing on Finch vpn but interestingly hes also working on how to bypass the limit but i think you guys can try same method used here to ENJOYED Tweakware VPN without limit. Kindly follow the below settings to enjoy this little trick. 5. Next swipe to settings and make sure that custom settings is NOT ticked.